All Prospect Mini Camps give student-athletes the chance to both be coached in individual drills by UNI Coaching staff as well as perform in various testing drills. Our Prospect Mini Camps are designed for student-athletes entering grades 9-12 in the fall of 2019. Campers will have an opportunity to be seen by Coach Mark Farley and the entire Panther Coaching Staff, as well as guest coaches from other colleges and universities. All participants will have their height and weight measured, be tested in the vertical jump, broad jump and timed in the 40 yard dash. 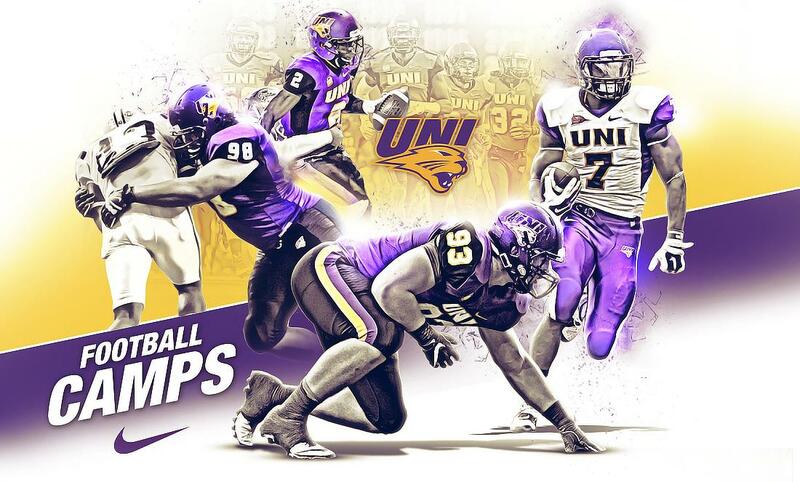 Once testing is completed, all campers will receive individual positional instruction from the UNI Coaching Staff and conclude with one-on-one drills in a competitive atmosphere. Charge for Early Registration is $40. After the Early Registration window closes, the fee is $50. The Early Registration window ends May 13th. Check-out: 5:00 pm from the UNI-Dome Floor or Outdoor Practice Fields. Sessions will take place in the UNI-Dome or Outdoor Practice Fields. What to bring: T-Shirt, Shorts, Tennis Shoes, Practice Jersey, Cleats, Helmet, and Shoulder Pads.